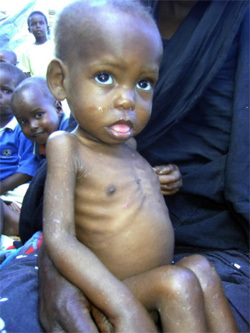 UN Cuts Food Ration, Expands War in Somalia | .:TesfaNews:. Is it fare to finance invasion but slash food ration by 2/3rd? As the UN funded African Union “peacekeepers” expand their military occupation of Mogadishu the UN relief agency announces an over 2/3 cut in food aid to one million Somali refugees due to a “funding shortfall”. The UNHCR apparently has decided that they will provide 30% of the daily minimum food requirement to the million Somali refugees they have been keeping alive rather than cut off aid to any in the UN camps. This as the UN/AU army has been increased by thousands of Ugandan troops along with dozens of additional tanks, heavy artillery and helicopter gun ships. Today, according to the latest press conference held by the “peacekeepers” the AU army now controls over half of Mogadishu. Along with the expansion of the war in Mogadishu comes reports by refugee agencies of a spike in Somali refugees, both arrivals at the refugee camps and in Somali’s fleeing the country. With the already bare minimum food allotment cut to only 30% the UN is overseeing the slow death by starvation of the million Somalis they are responsible for. This as the UN funded “peacekeepers” see their funding steadily expanded, the more efficiently to carry out the western mandated “war on terror” on the Somali people. As one of those burnt out heroes in the relief works says so bleakly, “where is our humanity”? This entry was posted in News, Opinion and tagged Peace Keeping, Somali Refugees, Somalia, Thomas C. Mountain, UN, war. Bookmark the permalink. 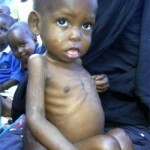 Pingback: Crocodile Tears for Drought Victims As Food Aid Blockade Continues in Horn of Africa | . 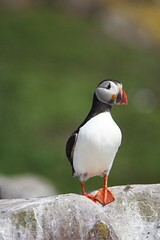 :TesfaNews:.